The Dunedin Youth Orchestra works with some of the best conductors in Dunedin who can not only hold an orchestra together, but also inspire young players. Peter Adams is a Senior Lecturer in the Music Department of Otago University and a well-known conductor. 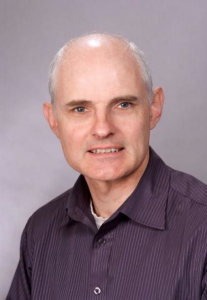 Peter was educated in Dunedin, completing a Mus.B with 1st class Honours in 1981 at Otago University majoring in composition, conducting and clarinet performance. A Commonwealth Scholarship took him to London and King’s College where he completed a M.Mus in Theory and Analysis and studied clarinet with Georgina Dobree and conducting with John Carewe. Since his return to Dunedin to take up his post at the university, Peter has built up a fine reputation as a conductor and musical director working all around New Zealand. Peter was Musical Director of the City of Dunedin Choir for ten years from 1987 to 1996, directing nearly fifty concerts of the major choir and orchestra repertoire. He has been the musical director for four Opera Otago productions and five university opera productions. He has conducted the Southern Sinfonia on many occasions including in subscription concerts, “Last Night of the Proms” concerts, and at the Aoraki Arts festival. As a guest conductor Peter has worked with many of this country’s leading musical organizations: the New Zealand Chamber Orchestra, the Da Capo Chamber Orchestra of Christchurch, the Viva Chamber Orchestra of Nelson, and the Invercargill Sinfonia. He has had a long association with the Dunedin Youth Orchestra starting as a player in the late 1970s and then as a regular guest conductor over the last two decades. Peter has also been associated with St Kilda Brass for many years and has also conducted many of this country’s top brass bands. He conducted the NZ National Youth Brass Band in concerts at the Tianjin International Children’s Arts Festival, China, in 2012 and on a New Zealand tour in 2013. Peter is also active as a composer, arranger, writer and adjudicator, and still occasionally blows the cobwebs out of his clarinet to perform in chamber music recitals! Anthony Ritchie is one of New Zealand’s most prolific composers, having written over a hundred works including four operas, three symphonies and several concertos. Ritchie completed his Bachelor of Music with Honours at the University of Canterbury, and went on to study composition with Attila Bozay at the Liszt Academy before completing a Ph.D. on the music of Béla Bartók, studying at the Bartok Archives in Budapest. Ritchie has been the Composer-in-Schools in Christchurch, the Mozart Fellow at the University of Otago and Composer in Residence for the Dunedin Sinfonia. He now teaches composition at the University of Otago. Anthony is comfortable in both the concert hall and theatre and has received commissions from a diverse range of performers including the NZSO, The Song Company and the Footnote Dance Company. Notable successes have included the premiere of both his Symphony No. 2 and his opera Quartet in the New Zealand International Arts Festival. In 2004 his opera, The God Boy, was premiered in the Otago Festival of the Arts to critical acclaim. Ritchie’s chamber works, songs, 24 preludes for piano, and symphonies have all been commercially recorded and released. Symphony No.3 was premiered in 2010, and recorded by the NZSO on a new Atoll disk of the composer’s work released in 2011. It received The Listener’s ‘Supreme Achievement Award’ for Classical music in 2010. The immense success of his Flute Concerto is also creating an international reputation for this New Zealand composer. Anthony has also written film music, his music for Natural History NZ’s ‘Southern Journeys’ being a notable success. 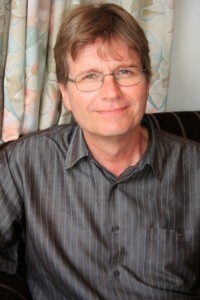 He is currently Associate Professor in composition at Otago University. For further information and a complete list of compositions, visit anthonyritchie.co.nz. David Burchell has been Musical Director of the City of Dunedin Choir since the beginning of 2000. He is organist and Choir Director at St Joseph’s Cathedral and acting Director of Music at All Saints’ Church. He is the Dunedin City Organist, the University of Otago’s Graduation Organist and organ tutor in the Department of Music. He is also a regular conductor of the Dunedin Youth Orchestra, and in May 2011 directed a concert with St Kilda Brass. Brought up in Newcastle upon Tyne, he is a graduate of Oxford University and there enjoyed a lengthy association with the renowned Choir of New College Oxford, first as Organ Scholar and later as Assistant Organist. This included a term in charge of the choir, television and radio broadcasts, and participation in the recording of many CDs as organ accompanist and soloist. He has also worked as a university lecturer and was director of the Newcastle University Orchestra. From 1999 to early 2011 he was Organist and Choir Director at St Paul’s Cathedral, Dunedin. David has appeared as organ soloist with the Southern Sinfonia in Poulenc’s Organ Concerto, the Saint-Saëns Organ Symphony, and in the première of Anthony Ritchie’s Organ Overture. He has also appeared with the Southern Sinfonia, directing from the harpsichord, in Bach’s fifth Brandenburg Concerto. For other previous conductors, see our past concerts page.